Natural and organic personal care is ripe for continued growth, if the natural channel can give the category the support it needs. There’s no doubt about it: Awareness of toxins in cosmetics, and demand for cleaner alternatives, is on the rise. With big-box retailers like Kroger and Target hot on natural beauty brands and coverage of cosmetic chemicals and natural alternatives from Forbes and Fast Company, natural beauty has officially gone mainstream. And the best part is that natural and organic personal care companies are delivering on product performance promises and brand values that aim to positively impact climate, agriculture and next-gen wellness. Product innovation and performance, along with brand passion and commitment, point to a vibrant, flourishing industry. But when it comes to natural retail, the numbers tell a different story. Sales of natural and organic personal care products in the natural channel slowed down considerably last year, experiencing only 2 percent growth in 2017, according to Natural Foods Merchandiser market research. Taking a deeper look, it’s clear that awareness is not enough; the natural retailers who are experiencing growth are those who view natural beauty as a pivotal part of their larger retail strategy and support the category with sophisticated merchandising and expert information. “Attention to natural beauty has never been an afterthought for us, since we believe that our beauty choices are as important as choices about our food and supplements,” says Mary Catherine Horgan, health and beauty category manager at Pharmaca Integrative Pharmacy, which now has 28 locations across the country. 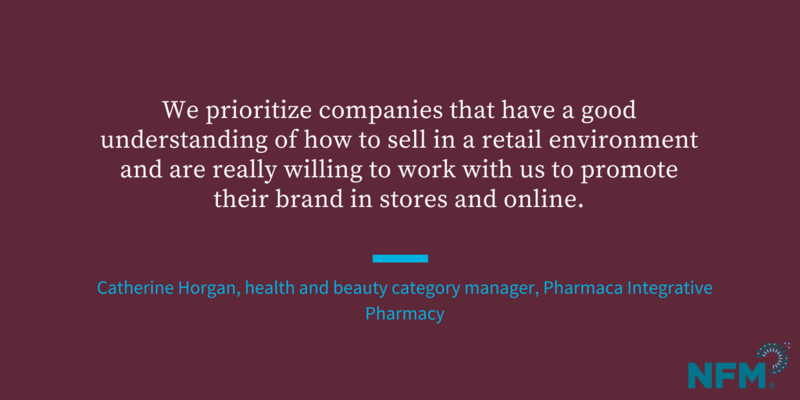 At Pharmaca, well-groomed sets are staffed with experts trained to make recommendations, conduct makeovers and consultations and send customers home with samples. “Our natural beauty area has always made up a substantial portion of the store—and includes beautiful displays of our favorite products. We combine that with a staff of licensed aestheticians and makeup artists who can really help guide customers toward the right products for their skin type,” says Horgan. For Country Vitamins, a three-pronged approach that harnesses the success of mainstream beauty retailers has breathed new life into the HABA department: In-store experts, beauty rewards programs and engaging events. “We have a licensed aesthetician on staff for free skin care and makeup consultations and we offer a Beauty Club discount after such consultation,” she says. Beauty Club members also receive an annual consultation that includes customized skin care recommendations. Other efforts such as spa days maintain that community vibe throughout the year for both Pharmaca and Country Vitamins. “We have reps and local practitioners attend to pamper pre-signed up guests. All receive a free swag bag of products, samples and goodies,” Sardell says, also noting that natural beauty shouldn’t be found only in the HABA aisles. She recommends placing products at or near the checkout counter, doing outreach with sample sets to other business (think dentists and hair salons) and having staff hand out samples to customers at checkout. Skin care, which represents the largest category of the natural and organic personal care market in the U.S., according to Nutrition Business Journal, may be the easiest place to start. Growth is projected to double between 2010 and 2019 and add an estimated $1.8 billion in annual sales by 2021. But that’s not the only category where natural retailers should put their focus. 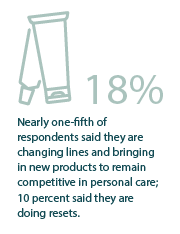 Self-care products, such as bath products, are going strong (the largest channel for natural and organic bath items continues to be natural and specialty retail, but online is making gains). Meanwhile, emerging categories such as natural and organic feminine care—think everything from organic pads and tampons to nontoxic lubricants—could be a smart place for natural retailers to promote, educate and differentiate. Natural retailers have a tremendous opportunity to educate not just about the health and beauty benefits of clean products, but also to tell the stories of the companies having a social or environmental impact. According to Mintel’s “Beauty & Personal Care Global Trends 2018” report, in addition to seeking out more “natural” products, consumers are looking for local and regional brands. Some companies, such as Oregon-based calendula skin care company Bodyceuticals, are using their supply chains to support regional soil and farming initiatives. Bodyceuticals grows calendula on its regenerative farm in the Pacific Northwest and weaves this into the company story it tells at retail. “Our focus is on regenerative farming; it’s beyond sustainable, it’s really regenerating the earth,” says Bodyceuticals founder Angelique Saffle. This sense of place plays an important role through the entire growing—and purchasing—cycle. “In Washington, we really appreciate our organics and so do our customers, so when this ends up on store shelves, they appreciate that, and the fact that they can trace it back to the seeds and the soil. We would say that we are soil to skin,” Saffle says. Such efforts are coming from brands big and small. When Shane Wolf, L’Oréal’s global manager for Redken, Pureology and Mizani in the professional hair division, set his sights on launching Seed Phytonutrients, a start-up brand incubated by L’Oreal, his mission was to support and protect organic seeds and farmers and be more environmentally sustainable by investing in packaging innovations. The result: Seed Phytonutrients, a clean, agricultural-focused beauty line, including skin, hair and body care products. The company sources ingredients from small regional farmers and has created packaging that significantly reduces plastic usage. Although Wolf says that he faces occasional skepticism because the company is backed by L’Oreal, he points to the fact that the relationship can actually help scale this important mission, a message that should resonate with consumers and retailers alike.